Over the years, our company has a cemented its position in Bilimora(India) and is determined to become a trusted provider in other markets as well. Purchasers can rest secure; our entire range is premium, as they are wholesaled by us after subjecting them to a string of quality control tests. 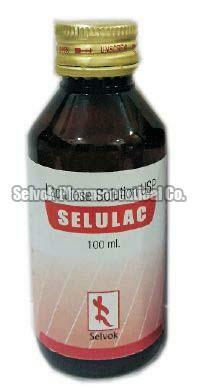 Detail : Each 15 ml Contains: Lactulose 10gm (as Lactulose Concentrate USP) Aqueous Base QS.